I know I say this a lot but October just flew by and I can’t believe that we are now only 2 months away from Christmas! 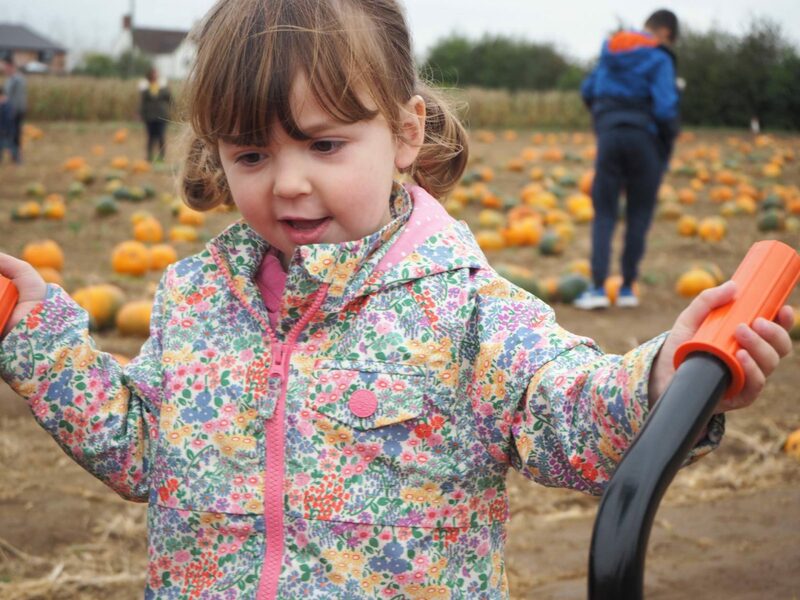 Every year we love to go to Millets Farm pumpkin picking and this year was no different. It was a family affair with my parents coming with us too. The girls loved it and it’s definitely a lovely family tradition. We are going to be carving them this weekend and Alice has big plans for hers! 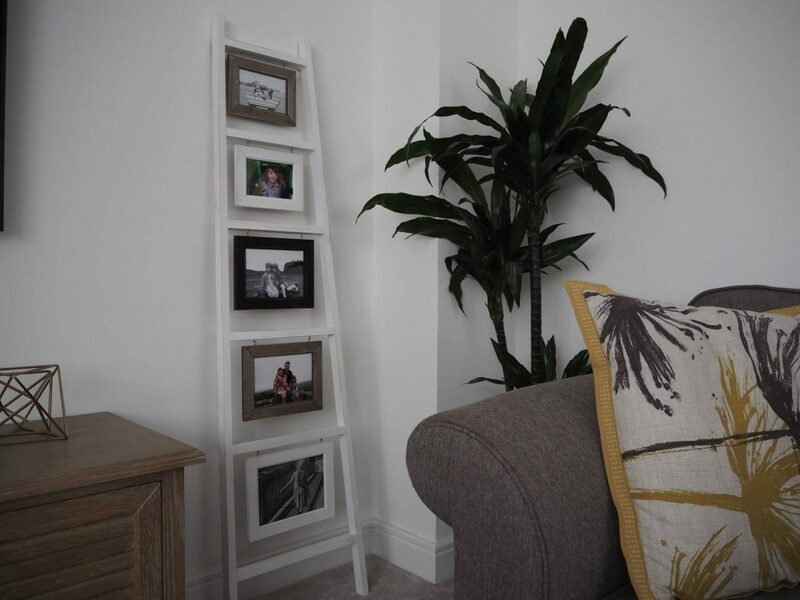 I’ve been looking for something to add to this little corner of our lounge and when I saw this vintage photo frame ladder I knew it would be perfect. It’s really finished this area off nicely and of course given me another place to hang some photos. The best bit it was £22, bargain! Last year on the day of the school’s Harvest Festival service Alice was poorly. It was the only day she had off all year and she was sad to miss it. This year she was determined to make it! We had great seats and it was lovely to see her sing her heart out, surrounded by her friends. My little school girl all grown up. 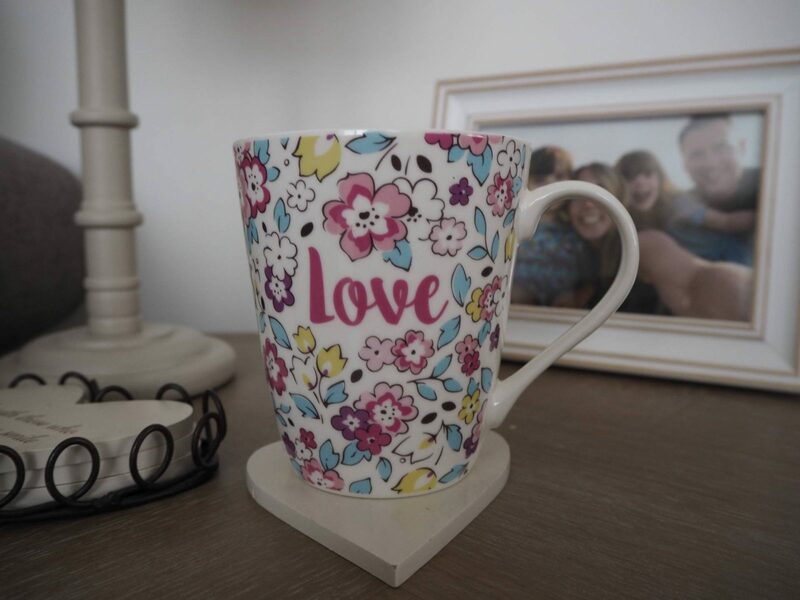 I can’t resist a pretty mug and when I saw this one in the Cath Kidston sale I had to pop it in my basket. It makes me happy when I’m sat having my mug of coffee. It’s the simple things in life. This month I’ve had some lovely times meeting up with friends. A friend and I took a shopping trip while our children were at school and preschool. Such a treat to shop child free. I also meet up for a coffee with Katy and Gemma, with only baby Ben with us. It was lovely to sit and chat, drink coffee and eat cake. And finally I took a trip to my favourite place, IKEA, with the lovely Donna. Now this was a real treat for us both to browse the shop childfree, buy things that neither of us really needed, but we had to have.